A candidate for city council in South Fulton, Georgia, talks about running for local office as a way to infiltrate and transform the Democratic Party. "The middle class has disappeared. Now, we have a working class and wealthy class." khalid kamau: My name is khalid kamau. I am running for city council in the city of South Fulton, Georgia. Sarah Jaffe: Let’s start with your decision to run for the city council. Talk about what made you decide to run for elected office. khalid: There were a variety of factors, but it all really began with Bernie Sanders. I don’t think any of us yet recognized how monumental his campaign was. Every presidential race brings into the political process a new generation of volunteers, people who are willing to knock doors and get involved in politics, but Bernie galvanized a group of highly educated, highly skilled activists. These people were pretty much already politically involved, folks like myself. Then, he charged us to run for local office, specifically, as a way of both infiltrating and transforming the Democratic Party, and working our way up the political ladder. I think one of the big mistakes that many folks on the left, particularly, make—but people in general—is this idea of trying to transform government and society from the top down. So, only focus on the big races: the presidential race or governor’s race. We hope to get someone in office that way and that they will make this change from the top down. What we have seen, obviously, from states like North Carolina is that even when you are able to win the big seats, which are usually longshot races, if you haven’t infiltrated that party or that government structure from the ground up, it is very hard for a head of state, whether it is a governor or the president to really institute change if they don’t have a cooperative Congress or state legislature or city council. Then, the second important thing about going the other direction is that you are really developing a set of people that vote in key positions. For example, both with the nomination process for the Democratic Party and the elections this last month of the DNC chairs, there weren’t enough progressives in decision-making places, be it superdelegates or delegates to the convention, but also post holders and county chairs that get to vote at the DNC winter meeting for the DNC chair. Those positions are held by people that get into them years before those elections happen. So, years before the 2016 convention and years before the 2017 DNC winter meeting, people ran for elections and got into those seats. It is really important that we do the really hard, long game ground work. Those are the things that excited me, personally, as an activist and political organizer. I was thinking about how I could get involved in metro Atlanta, in my local area. By the grace of God, it turned out that the area that I lived in, which was unincorporated, decided to become a city. So, here, this place that I was currently living, which is where I was born and raised—I live in the house that I grew up in as a child—was incorporating and becoming a city. That was a natural fit. Then, I learned the specifics, that this city will be the largest city that the state of Georgia has created in over 100 years and that it is nearly the size of the capital city itself, understanding the size and scope of the city, which people who are not as politically involved are just becoming aware of. Every day people are beginning to realize just how large this city is, how many different counties and municipalities we will touch. We have the possibility to have the largest progressive city in the South if we can win four out of the seven city council positions and/or the mayor’s office. The third key point is that by having a city that is progressive, it gives us a chance to make the argument for progressive policy. A lot of these policies that Bernie and other progressives have talked about, whether it is a $15 minimum wage and universal healthcare or having election day be a national holiday, lots of people think, “Oh, those are good ideas, but they can’t work. They are not sustainable. They are not economically feasible.” So, we are asking people very often in national elections to take a chance on something that they have not seen at the local level, on a smaller level. This is our shot, in Georgia specifically, but in the South in general, to show that these policies actually do work and that they are not just good ideas, but they are smart ideas and they can grow economies and transform regions and get people involved in their electorate and their local government. Those are things that excite me. Sarah: I understand you work with a variety of organizations and activist groups in the Atlanta area. I would love to hear about some of the organizing you did with Black Lives Matter, the Fight for $15. khalid: I helped organize the Atlanta chapter of Black Lives Matter. I was at the very first meeting. It was actually called by a very forward thinking comrade, Mary Hooks. She called together a meeting, so I got involved with that. We had done a lot, particularly around addressing police violence. I call it “blue on black” crime here in Atlanta. That is actually another thing that inspired me to run … because there have been quite a few incidents in Georgia. We have been trying to at least have a trial for police officers. We have not in the past seven years—there have been over 70 shootings, 70 killings of civilians by police and we have not once in those seven years ever had a trial, let alone a conviction, just never even a trial about it. We have been really pushing as well for marijuana decriminalization because that is a big driver in the prison pipeline. Georgia is actually [at the top] for disparate marijuana arrests, for black and brown people being arrested at a disproportionate rate. Those are the two big things we have been working on. I realize with this new city, that a lot of the positions that we were trying to replace or a lot of the ordinances that we were trying to have changed, as a brand new city, we would get to write those ordinances. We would get to select or vote on the police chief or the city court system. It just seems like a natural progression. I also worked with organized labor here in Atlanta both for the Fight for $15, but also in my own job. At the time that I began working for the Sanders campaign, I was actually a paratransit bus operator here in Atlanta. Atlanta transit system, which is called MARTA, Metro Atlanta Rapid Transit Authority, decided to outsource over 300 bus operators and mechanics. It was really an effort to get out of its contract with the union, to get out of its pension obligations and its health insurance obligations that had been negotiated by organized labor. We fought that for several months. The outsourcing happened and I lost my job, which really further radicalized me. The good news is that a federal judge has actually overturned that outsourcing and issued an injunction. Those transit workers are going to get their jobs back. MARTA is still appealing that decision, but as of right now it looks like the court has ruled in our favor, so those jobs will go back. Just being a part of those different movements was really what helped when it came time for me to run for office in terms of endorsements and volunteers. It was really just sort of a natural evolution. Sarah: Georgia is not a state with a big labor movement. It is a so-called “right to work” state. I would love to hear you talk a little bit more about being involved in the labor movement in Georgia, in Atlanta—the pitfalls, but also the positives of the labor movement in Georgia. khalid: With the current administration that we have in office and the balance of the Supreme Court right now, we may be nationally moving to a national right-to-work law and overturning decades of precedents that favored organized labor. I think it is sort of exciting and informative to be in this state to see how labor organizes and recruits when it is not automatic for workers to be enrolled. How do you, in a right-to-work state, explain the value and importance of joining the union and supporting the union? My work, primarily, has been with ATU, the transit union. But, I was also a member of CWA and I have been endorsed in this race by the Teamsters. Sarah: I found out about your campaign through the Democratic Socialists of America, who were very excited to have one of their own running for office. I would love to hear you talk a little bit about the connections that you have to national groups and thinking about running for local office in the context of building a broader movement across the country. khalid: I think it is very important. We only have a two-party system, unfortunately, right now. So, in states where Democrats are not in power, red states, it is very important to network nationally so that you can get a level of support both financially and in terms of volunteers that your party locally may not be able to supply. I don’t think that we have a shortage of volunteers in Georgia, but it has been amazing the groundswell of financial support that I have gotten nationally just being aligned with Our Revolution and Bernie Sanders and by the Democratic Socialists of America, which Bernie also came out of. I travelled to New York to speak at the youth conference, signed up scores of volunteers, received thousands upon thousands of dollars, at this point, tens of thousands of dollars in donations from across the country. That is very key in financing these insurgent campaigns because even if you are able to garner support from your local state party—which, very often, you will not because they have their own establishment candidates that they prefer to support—it is very important for true progressives to network across state lines and to pool their resources across state lines into races that we can both win and that can have some notable impact on policy for a region. Sarah: Related to that, what has been the reaction of the establishment Democrats to your campaign? How have they reacted to you? Especially, after your pretty overwhelming vote total in the first round of this election. khalid: They have been quietly supportive. There is always a complicated political calculus. In my race, it was really historic. We have seven city council districts and a mayor. So, eight seats and we had over 71 candidates for those eight seats. Many establishment Democrats in Georgia were afraid to endorse me or anyone in any of the races, because they were afraid of who they might piss off that was connected to one of the 71 candidates. All of us know our different people. So, a lot of them just stayed out of the race. Then, very often—and it is probably a good thing—many state parties and state party leaders, because this is an overwhelmingly Democratic race and region, many of them have a policy of just not getting into races where there is a Democrat on Democrat. So, their support has been tepid, at best. 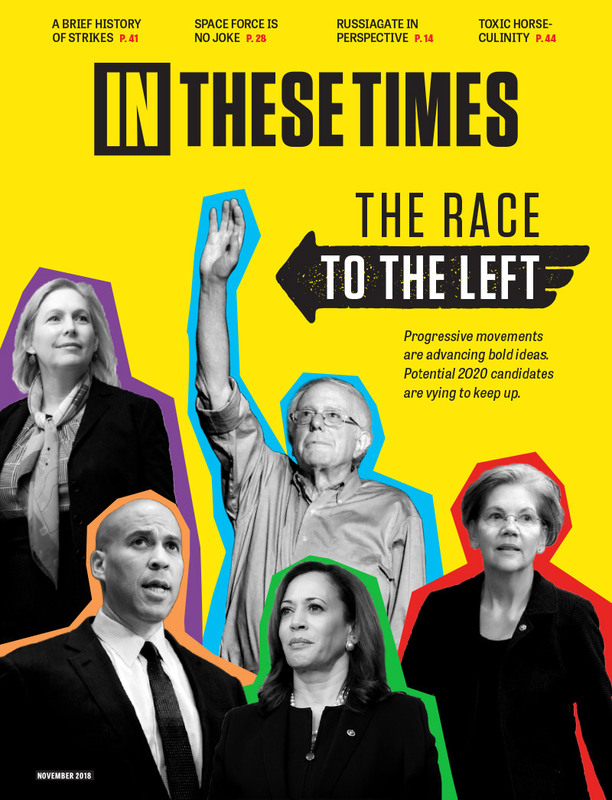 But, having true progressives, unapologetic progressives, I really see us building a movement that is sort of like the Tea Party where we are not afraid to endorse in intra-partisan races or non-partisan races. People like the DSA or Our Revolution are looking for bonafide progressive candidates. Those are the only people they are going to support and they will support them even if they are running against another Democrat and they put money behind it. Then, you do have a few courageous establishment Democrats like Ted Terry, who is the mayor of Clarkston, who is really a model for progressivism in Georgia. He has raised the minimum wage of city workers to $15 an hour and made voting a municipal holiday and also lessened the penalties for marijuana so that working-class people are not just being locked up for smoking a joint. I think the thing that is most powerful about this race, or even my campaign, is that I love Bernie, but I think where his campaign failed—I don’t think this is a personal failure of Bernie, but perhaps of the people that were around him and advising that campaign—is that there wasn’t enough attention paid to people of color. I am not sure that people of color who were in that campaign were listened to the way they should have been. Bernie didn’t make—he made a very excellent class argument. I think it is implied that people of color are more disproportionately affected by class disparities than whites. I think there was an assumption that people of color would understand that and would understand that the arguments that he was making about class and equality were implicitly also arguments about racial inequality. I think that, frankly, because Bernie was an old white man, black folks, people of color, did not implicitly get that he was speaking to them. I did think he was speaking to them, but I am not sure everyone else did. One of the things that the progressive movement is going to have to do is find leaders of color and candidates of color to carry this message. When I speak about it, rightly or wrongly, when I am talking about income equality and when I am talking about working class families, the black and brown audiences that I speak to do implicitly get that I am speaking to them and that I am speaking for them and that I am speaking about them. I don’t necessarily go around making a lot of racial arguments. I think that my bonafides of Black Lives Matter speak volumes about my own racial politics and that I can make these arguments of class and people of color get, because this city is 89 percent African-American and because I am African-American, people know that I am talking about them. The best way to reach out to communities of color is by having candidates of color and instituting these policies in cities of color. If you look at a lot of these most progressive places, they are places like Seattle or Massachusetts, in a lot of these most progressive cities, they tend to be smaller cities, they tend to be more white and more affluent. The idea is that only rich people, only rich white folks can afford to enact these kind of progressive policies. I think it is going to be really important that the leadership of the Democratic Party, specifically, but the left in general, that the leadership needs to look like its base of voters. I know that there has been all of this angst about “How do we get working class white voters?” But, right now, the most consistent voters in America are black women and the most consistently progressive voters are black and brown folks. We need to grow the base of our party or of that movement with those folks and make sure that we are running candidates in places and instituting policies in places that support those folks. 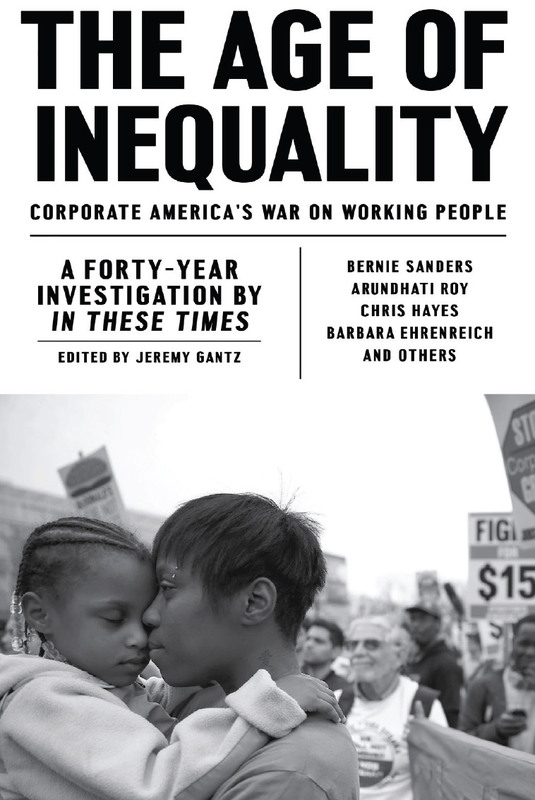 I do think that the big issue of these next few elections, and I think the next 20 years of America, the biggest challenge that we will face is income inequality and this growing disparity. The middle class has disappeared. Now, we have a working class and wealthy class. We really need to keep hammering that truth into the public and political conversation that is happening. That is what I hope to do, is to bridge that racial gap for people to understand that whether you are red or yellow, black or white, that we are all suffering from income inequality for the past 30 years. Sarah: What are the next steps here? When is the runoff? khalid: The runoff is April 18th. Early voting has already begun. It will be going on for three weeks through the Friday before April 18th. Then, on April 18th, that Tuesday will be our election. In addition to my race, when folks get in touch with me, they can find out about people that I am endorsing across other city council districts. Once again, it is about being effective in implementing these policy changes. That is not something I can do unilaterally. I will need a vote of four and, hopefully, a progressively disposed mayor to make these changes happen. khalid: They can get in touch with me at KhalidCares.com. You can find out about me, you can find out about other races here in the city of South Fulton and in the state of Georgia.